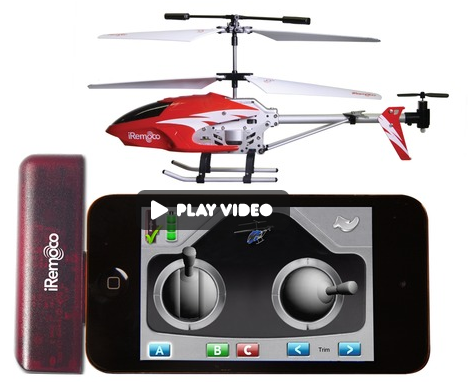 iRemoco is an RC helicopter that is controlled by an iPad, iPhone or iPod touch. The kit comes with a radio device that connects to the 30 pin dock connector on your iOS device. When connected, you load up an app and can then be used to fly an RC helicopter around with either two on-screen analogue controls, or by a single control and motion to move the helicopter around a room. The app also can be used to switch between three different frequencies so that up to three helicopters can be used at the same time. 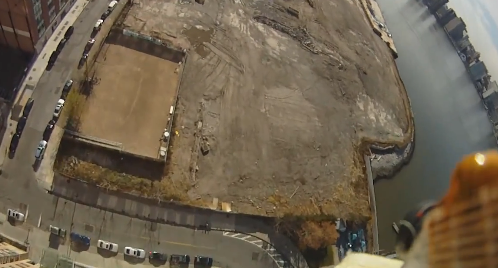 We’ve mentioned the quadrocopters before and how amazed we are at the speed and agility of them. 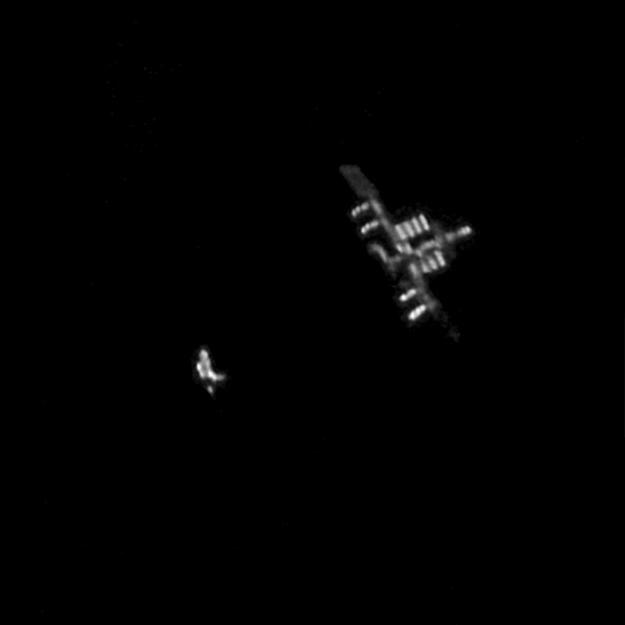 The picture here (larger below), shows Discovery about to dock with the ISS. The pciture was taken on February 26 and was surprisingly captured with a whole lot of good timing and a Canon EOS 40D connected up to a hand guided 8.5 inch Newton. 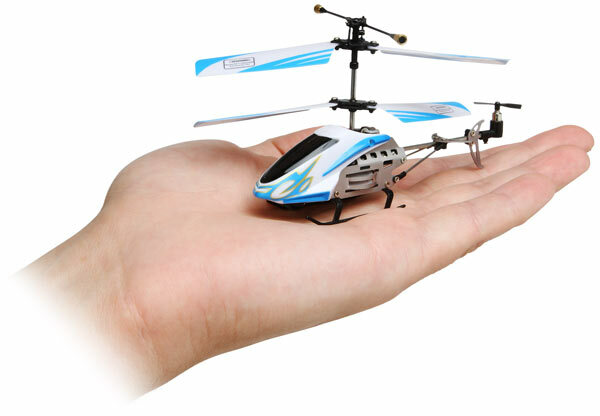 ThinkGeek is currently selling the RC Micro Metal Gyro Copter with a 38% discount. The picture above shows an unmanned quadrocopter built by Ascending Technologies. 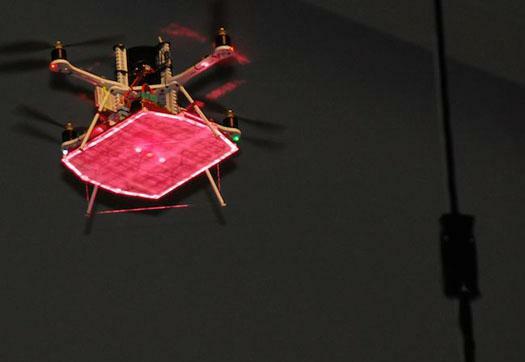 The quadrocopter was built in partnership with LaserMotive and is powered by Laser. 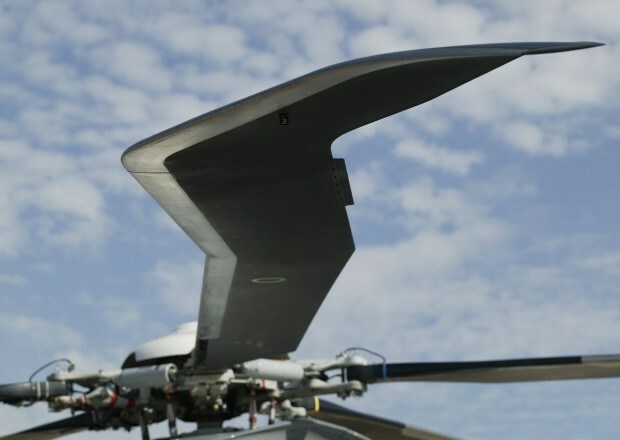 Pictured here we have a new rotor blade for a helicopter called the Blue Edge Rotor. 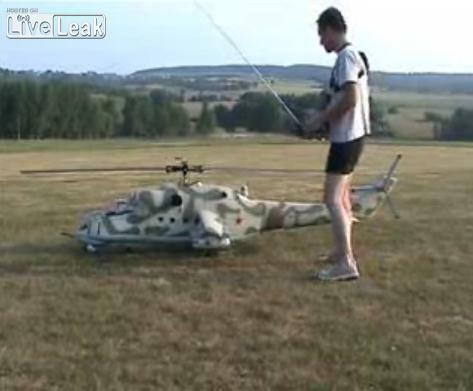 It was designed to cut down the noise that a helicopter makes when it’s blades skim through the air and actually quietens the whole thing down several notches. All that is heard from the new blades is a slight bit of wind rustling which is thanks to the shape of them along with some mechanical flaps that move automatically to cut the regular wind noise a helicopter makes. 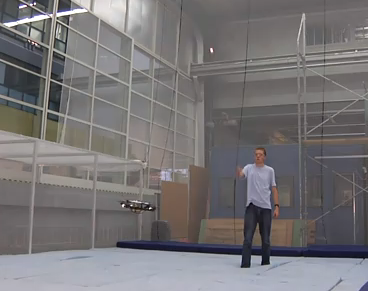 The Flyro Gyro is a toy which can be thrown about 100 feet. Thanks to a gyroscopic stabilizer built on the front the flyro gyro flys very well when you chuck it across a field. When throwing the flyro you need to flick the wheel. The faster you spin the gyro the further the flyro will fly. 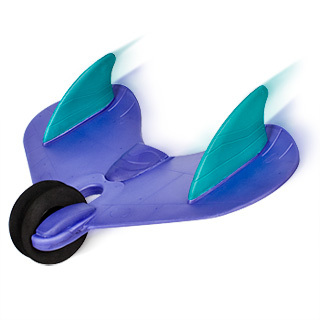 With its gyroscopic stabilizer wheel and unique shape, this wacky triumph of aeronautical design will make your old Frisbee seem about as entertaining as a ball of scrunched up toilet paper. 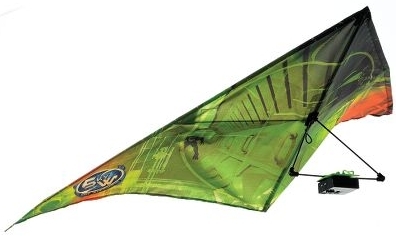 The Spy Kite is a kite that’s equipped with a digital camera allowing you to grab pictures of the ground from 80 feet in the air. 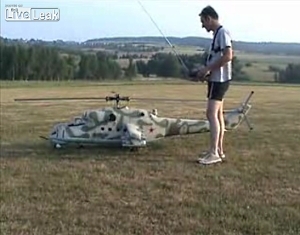 The helicopter you are looking at here is a replica of the Mil Mi-24 GunShip helicopter. 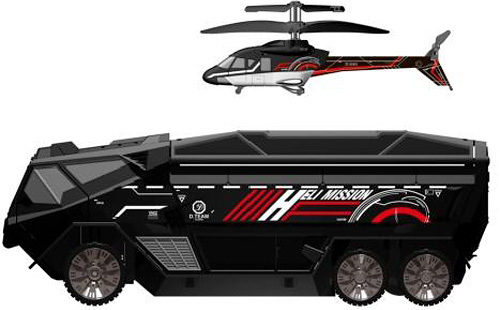 According to GizmoWatch it’s the largest RC helicopter in the world.